Former UK justice secretary Chris Grayling, who drove through the failed probation outsourcing project (Image courtesy: International Maritime Organization). A report by the UK chief inspector of probation has branded the service’s partial outsourcing “irredeemably flawed”, and pressed the government to take the “opportunity to redesign the service” when contracts come to an end next year. Stacey argues that probation services should be brought back under public ownership. “Significant flaws in the system have become increasingly apparent. 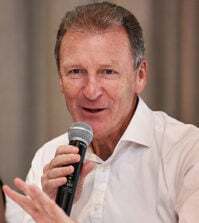 It will be virtually impossible to deal with these issues if most probation supervision continues to be provided by different organisations, under contract,” the report says. 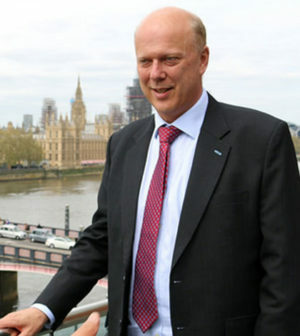 In 2013 then-justice secretary Chris Grayling launched the Transforming Rehabilitation programme, which split the probation service into low-to-medium risk and high-risk offending groups. The government retained supervision of high-risk offenders, while probation services for the lower risk groups was contracted out to privately-run Community Rehabilitation Companies (CRCs). There have been serious concerns in the five years since the probation service shake-up. A group of MPs looking into the outsourcing programme last year described it as “a mess”, and a 2016 survey found that 38% of magistrates said they had less confidence in probation than under previous arrangements. “Probation contracts treat it largely as a transactional business,” she wrote. “Consequently, there has been a deplorable diminution of the probation profession and a widespread move away from good probation practice. Stacey announced last year that she would be stepping down at the end of her three-year term in March 2019, and the damning report represents her final verdict on Grayling’s reforms. It comes just a month after a review by spending watchdog the National Audit Office (NAO), which said the Ministry of Justice outsourcing programme had been rushed and created “significant risks that it was unable to manage.” This created increased costs to the taxpayer and made the “number of people on short sentences recalled to prison skyrocket,” it said. She goes on to suggest a number of improvements the government should make, such as requiring more pre-sentence reports; a better range of rehabilitative community sentences; the timely provision of accommodation and benefits payments; and much more use, and availability, of mental health and other treatment orders. Prisons and probation minister Rory Stewart said the report “redoubles my determination to continue working towards a probation service that puts public protection first, commands the confidence of the courts and breaks the cycle of reoffending,” the Guardian reported. Noting that the reforms included extending probation services to those given short prison sentences, he said: “Our reforms mean 40,000 more offenders are being supervised, which is a positive move for public safety, but it is clear the current model is not working and there is much more we need to do. On Thursday, the government announced that Justin Russell will be taking up the role of chief inspector of probation from June this year. Natalie Leal is an NCTJ qualified journalist based in the UK. She holds a BSc and Master's degree in Social Anthropology and writes about society, poverty, politics, welfare reform, innovation and sustainable business. Her work has appeared in The Guardian, Positive News, The Brighton Argus, UCAS, Welfare Weekly, Bdaily News and more.